A leading manufacturing company has said that by tapping into the unique skills-bank of ex-servicemen and women when recruiting fresh talent, industry leaders can help future-proof UK manufacturing. 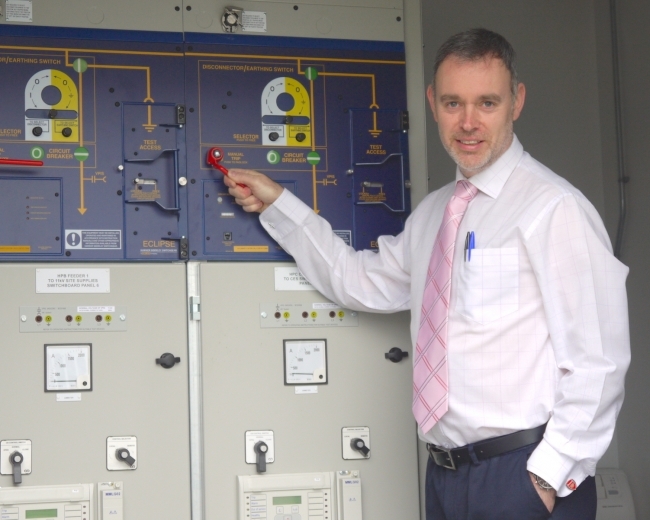 Morgan Marine, based in Carmarthenshire, designs, engineers and manufactures security housings, enclosures and other products designed to protect Critical National Infrastructure across the utilities, construction, nuclear and renewables industries. The company has a long history of recruiting former members of the forces, valued for their unique attributes and their exemplary training. Martyn Ingram, the Group Managing Director of Morgan Marine’s parent company, Morgan GRP, says former servicemen and women have long been assets to his company and not just for their technical training and their exemplary work ethic, but also for their unique mind-set which, over the years, has fed into refining important business processes at the firm. “We have always actively recruited from former members of the services. At the moment we have five staff members in key positions – from our shop floor fabricators and engineers, through to supervisory roles and office support – my PA came to us from the RAF. He added “We are a leading engineering and manufacturing company, so the obvious transferrable skills are there as far as our recruits who have a REME background or a Royal Navy background, for example. “But there are other invaluable attributes too, which we routinely find in ex-servicemen and women, and which are particularly vital in the manufacturing arena. “The willingness to pitch in and to ‘get things done’, the attention to detail and to process, the ability to keep disciplined records, the ease with which former service men and women are able to work as a team – these are all ingrained into service men and women. 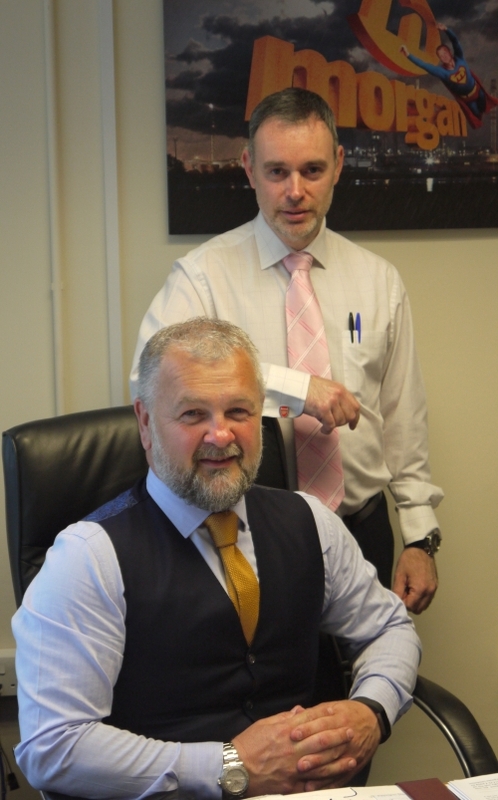 One case in point is Tony Lloyd Jones, an Electrical Engineering Supervisor at Morgan Marine who has been with the company for the past 11 years. Tony left the Royal Navy after a medical discharge, having seen active service on the aircraft carrier HMS Invincible in the second Gulf War and then in Kosovo. Having gone though a period of adjustment when he hit civvy street Tony is aware of the effort it can take to settle into the working world away from the forces, but, he says, the skills he learned while in the Royal Navy serve him and his employer in a very positive way. “I left the Royal Navy in 2004 and Morgan Marine has proved to be a good fit for me since then. I am, by profession, a marine engineer and I started my career at Morgan Marine as a supervisor. He continued: “It took me time to adjust to working life as a civilian – figures show that it can take between two and five years for an ex-servicemen or woman to adjust to working in civvy street. Almost all former servicemen and women will tell you that they miss life in the forces and it takes time to get used to a different working mind-set and a softer system of hierarchy that is very different to the stricter chain of command in place in the forces. “So negotiating those different sorts of relationships, particularly as a manager, has been a learning curve for me. “But this can be worked through with meaningful HR support and veterans can be some of the most valuable employees in the recruitment pool. “In the forces you apply yourself, as a team, to the task in hand and you push through until it is completed. You don’t go home at 5pm just because 9am to 5pm is your designated working day. “Clearly, being a marine engineer made me valuable to Morgan Marine as far as my practical skills are concerned. For example, life in the Royal Navy on an aircraft carrier is all about constant maintenance. Being rigorous about planned maintenance is pivotal to the success of our production here, and across many types of manufacturing and engineering. So, for example, our gantry cranes are electrical and we rely on them to load and move our products. These need to be kept in good working order. The majority of our working processes rely on compressed air to drive our tools in production – if our compressors aren’t well-maintained everything stops. A strict planned maintenance programme makes sure this doesn’t happen and it prevents costly down time. The official body charged with helping veterans find work, the Career Transition Partnership, reports that of the service personnel who left the UK Armed Forces in 2015/16, and who used their services, 80 percent found employment. But anecdotally, some employers admit to harbouring misconceptions and pre-conceptions around veterans, which, in some cases, prove to be a stumbling block to employment.